Surgery done a about 1:15 AM . His mother said he was in Intensive care. Prayers for his speedy recovery. It was pretty cool to see the two teams unite over concern for his well-being last night. Thanks for the update. 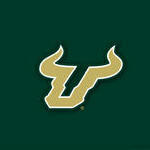 Wish there was a way for USF/Football fans to wish him well. I feel for the kid and wish him a recovery. I hope Memphis wins next week and ruins perfection. Life is so precious. In less than 5 seconds countless lives were changed forever.